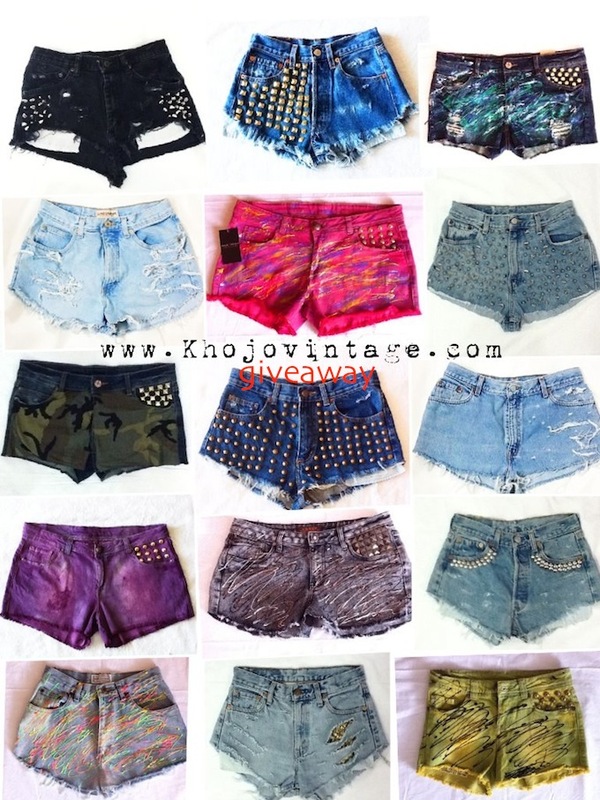 Khojo Vintage giveaway | Cosa Mi Metto??? 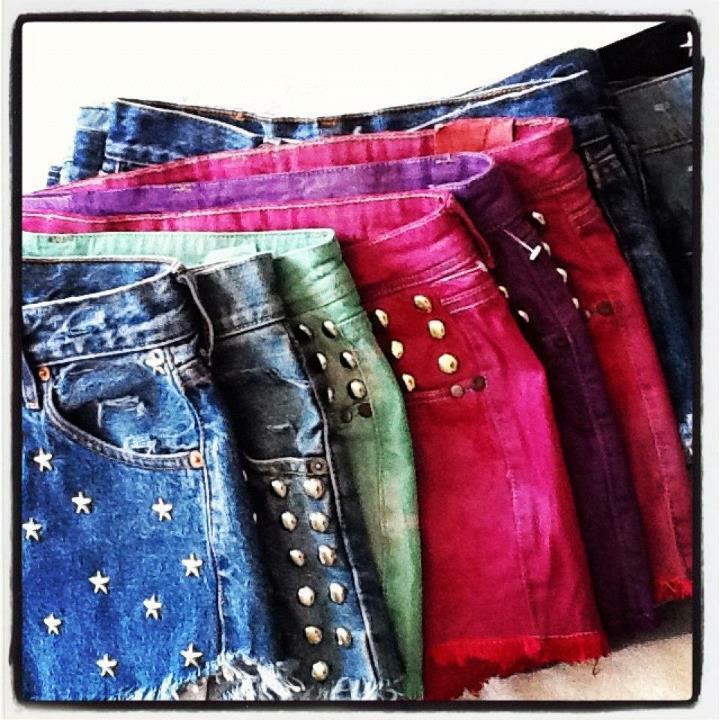 Hands up who wants a free pair of custom studded denim shorts!!! Today I bring you this amazing giveaway thanks to Khojo Vintage. Extra entry: follow @cosa_mi_metto on instagram! Don't forget to leave a comment with your address to be contacted! 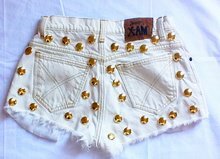 Alzi la mano chi vuole un paio di custom studded denim shorts!!! Non dimenticate di lasciare un commento con il vostro indirizzo per essere contattate! Oddio, che meraviglia questi shorts! ioooooo alzo la mano e incrocio le dita !!! 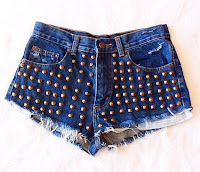 OMG I absolutely love these studded shorts. You can never have too many of them. i want that so baddddd!!!! like both on fb but not blogloving as I dont have it, hope its not necessary. What an exciting giveaway! I already follow via Bloglovin and GFC and I liked both pages! I LOVE THIS GIVEAWAY!! 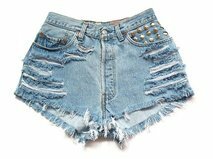 I really want a pair of studded jeans short! They are sooo amazing beautiful!!!! io io io io!!!! e peravere più chance oltre a entrambe le mie mani tiro su anche quellòe delle mie due birbe.. quindi 6 mani alzate!!! ci porterà fortuna?? speriamo!!! OMG!! I love these kinds of shorts!! :D I already follow you on bloglovin, GFC and Facebook!! Followed Khojo Vintage too! Hello ! Can I play, I'm french ? Thank-you for this amazing giveaway !!!!!!! Ofcourse I love to follow eachother! Don't forget to join my GIVE AWAY of a giftcard of €15,- to spend at kitschdiva.nl The online shop for vintage accessories! Thanks for your comment on my blog! Love these shorts, there amazing! Good idea let´s follow each other! ..gia' li seguivo su FB così come seguo anche te! Quindi partecipo da veterana :D e speriamo di vincere !!! P.S If you have some time, please take part in my very 1st giveaway. I will truly appreciate it. Al this pants are so cool!! 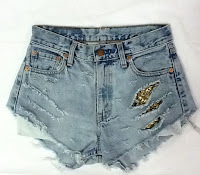 I love all these DIY shorts! So many great options! Thanks for stopping by my blog, yes I would love to follow each other. Following you now, look forward to keeping in touch. i love the studded shorts!! Thx so much for dropping by my blog and the nice comment hun! Thnx so much for stopping by my blog and for the nice comment. And i'm totally up for following each other! Following as Melanie or Aetherlily. I'm already following everywhere (FB: Lola Fabiola, GFC: Lola Fabiola) and Bloglovin (don't have instagram)..
I.N.S.A.N.E giveaway! Thank you for this! fingers crossed!! 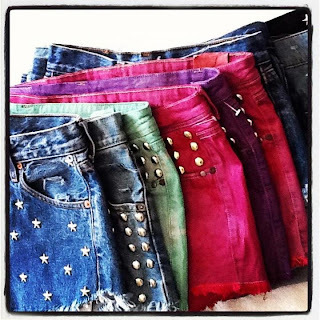 amazing and edgy shorts! Looks like these are taking a trend, they are so easy to get obsessed with. honey, thank you so much for following!!! I followed you too. Will definitely stay in touch with you, doll!! We follow you in GFC, in facebook, twitter and blogloving with the same name. Ohhhhhhhhhh, I love this giveaway! Che meraviglia di contest!! Ti adoro!!!!! hallo! thank you so much for your comment! well i am so lucky that i just saw this awesome giveaway and it is the last day! of course we can follow each other! i am following you on: gfc, facebook, bloglovin! 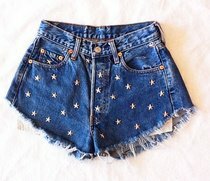 and i'll be so happy to win on of this stunning shorts! I love these shorts, they are so cute! ti seguo su instagram come zeulina!